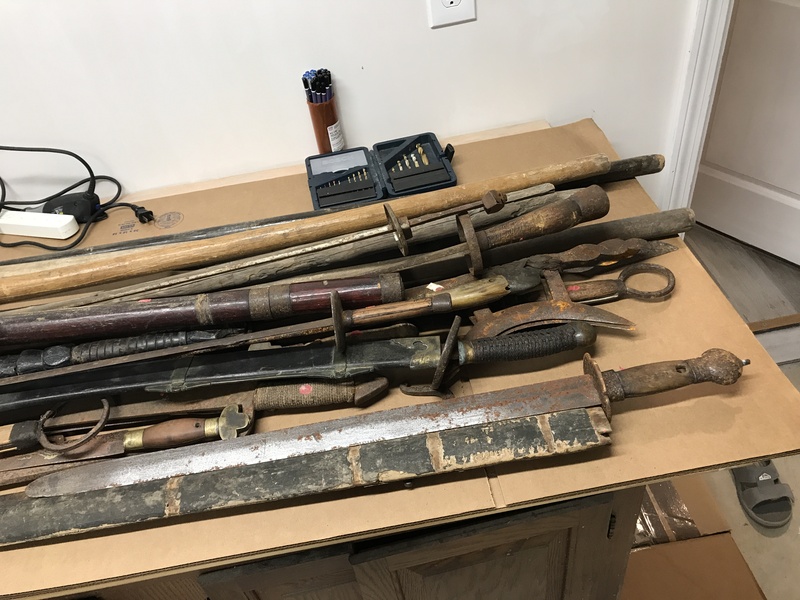 These pages will be used to display some antique Chinese gongfu weapons I have collected over the years. CLICK the Links below! These are in some cases just to show and in others they are for sale. I was a bit obsessive over collecting these back in the day. Most are not fancy but very utilitarian. I cannot really store and care for them all properly at this time so going to be thinning the herd. 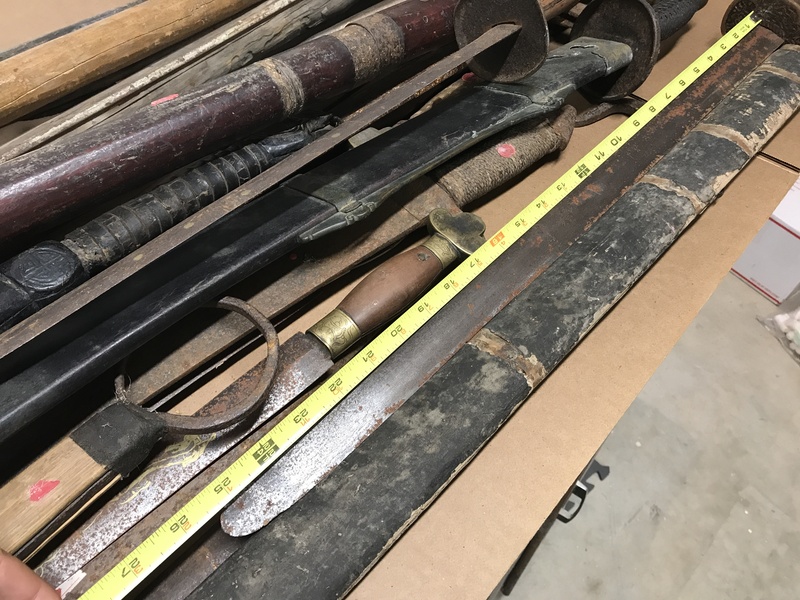 The collection includes Dao, Jian, DaDao, GuanDao, PuDao, Bian, Jian3, Chui, (Chinese swords, sabers, maces, sectioned whips, halberds, Polearms, Small hand weapons, hidden weapons etc. I’ve broken up the pages to show individual pieces which will show on a dropdown menu under the main heading for Antique weapons. Prices and availability will also be listed here as they are organized.